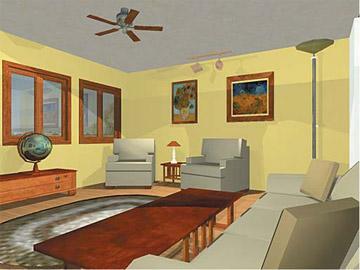 My Family Fun - Custom 3D Home Create ore remodeling your home! Create ore remodeling your home! Design and improve your home with 4 powerful tools! First, Home Architect: From one room to an entire house-easily create professional home designs and walk through them in 3D. 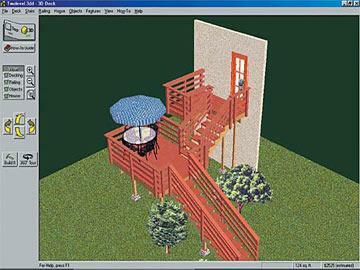 Next, use 3D Deck-Design and build the deck of your dreams. Then, try the Home Improvement Encyclopedia and become a do-it-yourselfer! 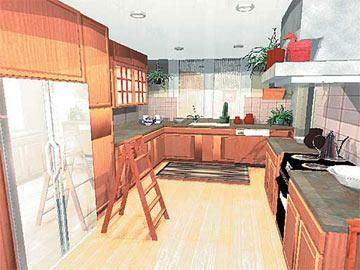 Learn how to do hundreds of home projects. Last, Electrical Wiring: Plan, repair, and test all kinds of wiring projects safely and easily. Take a realistic tour of your dream home, climb the stairs, and peek over balconies - all in stunning 3D with the 3D WalkAbout Technology. Plan everything down to the tiniest detail, selecting from over 2 million combinations of furnishings, brand-name appliances, colors, materials, and styles. Learn how to complete 500+ projects from plumbing to pruning with full-color videos, photos, and illustrations. Trial period: 2 days gameplay.